Mark is one of the original founders of Smithfield Trust Company. He is the Chief Financial Officer and is on the Board of Directors. His responsibilities include the financial stewardship of the company, financial reporting and controls, operating budgets, insurance, compliance, employee benefits and alternative investments. 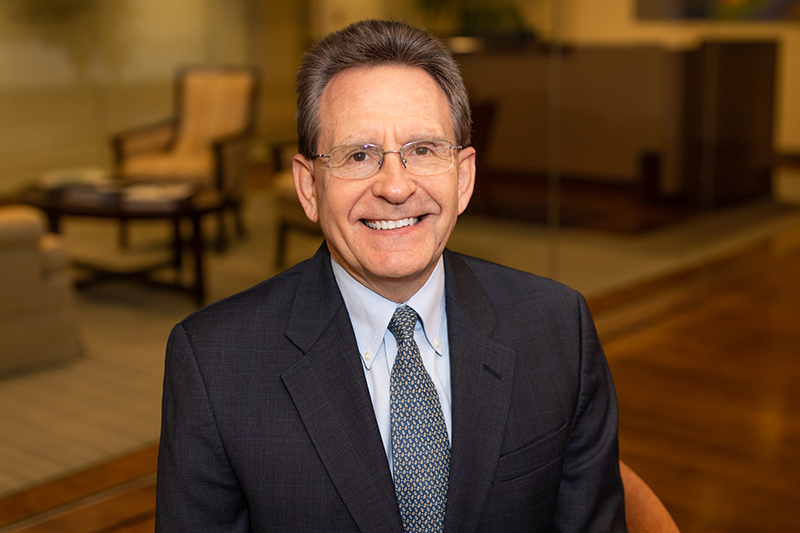 Mark has over 39 years of experience in financial management for closely held companies including mergers and acquisitions, equity and debt financings, and strategic planning. He began his career at Arthur Andersen & Co., with seven years of experience in both the audit and tax departments. Mark is on the Board of Directors for several privately held companies and a past director of the Pittsburgh Venture Capital Association. He is a Certified Public Accountant (CPA) and earned his Bachelors of Science degree from Duquesne University’s School of Business. Mark is a lifelong Pittsburgh resident, currently living in Churchill with his wife, Lou Ann.